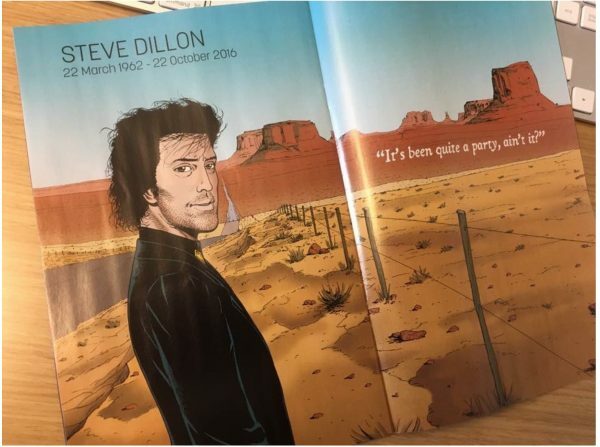 Later this month, DC Comics will commemorate the passing of comic book artist Steve Dillon. Dillon was the co-creator, with writer Garth Ennis, of Preacher, one of the first big titles at DC’s Vertigo imprint. This comic series serves as the basis of the AMC TV show of the same name. DC is planning to pay tribute to Dillon with a full-page spread in all of its comics. Fittingly, the pages will be a panel of Dillon’s work on Preacher. Steve Dillon died on October 22nd at the age of 54. Reportedly, he suffered a ruptured appendix. After his passing, numerous comic book writers, artists and editors offered their own thoughts and homages to Dillon. He was said to be a very friendly and giving person. His artwork has been widely praised throughout his career. Dillon started his career at Marvel UK at the age of 16. One of Dillon’s first big breaks came in 1992 through his work on Hellblazer, the Vertigo series about John Constantine on which he first teamed up with Ennis. The Ennis-Dillon partnership would become one of the strongest in comics through the 1990s and 2000s. 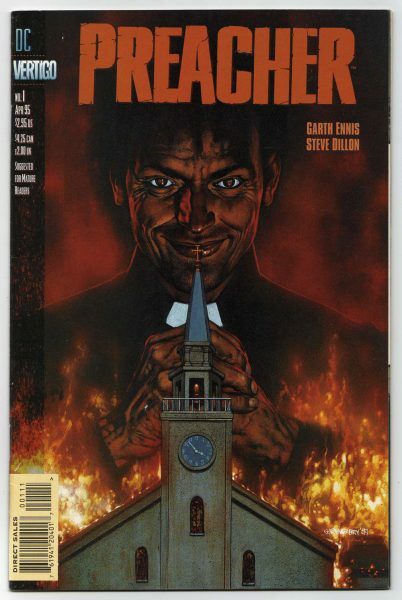 In 1995, Ennis and Dillon started Preacher, the supernatural story of Jessie Custer and his companions, which ran until 2000. Dillon was also well-known for his work on Marvel Comics’ Punisher. Ennis and Dillon teamed up on Punisher: War Zone. Additionally, Dillon was the artist on the recent relaunch of The Punisher, written by Becky Cloonan. He drew October’s The Punisher #6. Comic creators have become much more known to fans in the past few decades, to the point where many readers follow creators more than they follow characters. Steve Dillon was a fantastic artist, and he had many devoted fans. It is classy of DC to offer a fitting honorarium to Dillon. Hopefully, Marvel, for whom Dillon also did great work, will do their own method of honoring the late artist.